The level of confidence that our training instills in students helps them stand up to negative peer pressure and teaches them how to be great role models and future leaders. Our classes provide a positive and high energy environment and are all taught by professional, adult, Black Belt Instructors with years of experience working with children. Using the best techniques of Taekwondo, Boxing, and some self-defense techniques take from Krav Maga. Our classes are broken down into five groups: Little Dragons: Ages 4-6, Beginners, Intermediate and Advanced, Ages 11-13, and Teens-Adult: Ages 14-Up. This allows our instructors to gear classes towards student needs based on their level of development according to belt rank. Students 6 to 13 in age also develop confidence, discipline, self-esteem and respect for themselves and others while having loads of fun. Parents and teachers report that students in our program improve not only their conduct in school but their grades as well. Little Dragons: Will be taught a different lesson each week, for 12 different lessons: Memory, Focus, Balance, Discipline, Coordination, Fitness, Teamwork, Control, Integrity, Courtesy, Perseverance, and Forms. Once Little Dragon Students reach at least 10 of the 12 Stripes on their belt, they will be allowed to Graduate at the next Graduation. Little Dragon belts are White belts with colored stripes in the middle. Starting with a solid White Belt they move up to colors: Yellow, Orange, Purple, Green, Blue, Brown, Red. Beginners -Advanced: Students work in 4 month cycle curriculums. January – February – March – April, May – June – July – August, September – October – November – December. Each cycle goes over the set Self-Defense and Forms, certain Striking or Kicking Techniques, and Taekwondo Counter Attacks. Instructors teach basic techniques, kicks, punches, as well as advanced techniques for advanced belts, and so forth. Our belt colors here at AMA are: White, Yellow, Orange, Purple, Green, Blue, Brown, Brown/Black, Red, Red/Black, and Black. Each level will be assigned a form (kata) to learn. The first month in the cycles (January, May, and September) we introduce the new curriculum that we have set for that particular cycle. The 2nd, 3rd, and 4th month will have what we call Stripe Testing. Once a month starting in the 2nd month of the cycle, Instructors test each student on everything that they have been taught over the past month(s). If they do well, have a good attitude in class, and pass testing, students will earn a Stripe on their belt. White belts require at least two stripes to graduate to the next belt, but once students reach Yellow Belt they must earn 3 Stripes per belt. Orange and Brown Belts will a special Level Testing in order to move up to the next class rank, Intermediate and Advanced. Graduation is at the end of every cycle, so every 4 months. As long as each student has passed all of their Stripe Tests and have met the expectations of the Instructors they can Graduate to the next belt rank. Sparring: Students are not required to spar until they reach Purple Belt. Once they reach Purple Belt, the students will be required to purchase Sparring Gear through the school. If students have Sparring Gear already from another school it must be check and approved by the Instructors first. Purple, Blue, and Brown belts also need one Sparring Stripe to Graduate. Brown/Black, Red, and Red/Black need two Sparring Stripes. Four sparring days = One Stripe. 11-13: Follows the same process, but students go over more kicking drills and teaching is a bit more fast paced. Since these students are older and should be able to grasp the concepts easier, quicker, and better than most, a higher level of achievement is expected from them, and they’re also allowed to purchase Sparring Gear at any time. Trial program for beginners $19.95 includes a FREE uniform! No high pressure sales at Academy For The Martial Arts. This is a great way to see what we teach and how we teach so that you can make an educated decision to continue. Mr. Bobby (Mr. Robert Healy) began martial arts at age 7. His Dad was in the military so moving to different cities/states was common. With his strong passion for martial arts, Mr. Bobby would always enroll at a martial arts school wherever his family lived. He found his martial arts home at Academy for the Martial Arts once his Dad retired and the family settled in San Antonio. Mr. Bobby began training as a teenager under Master Michael Payne (Mr. P). He loved and excelled being a part of the Tournament, Demonstration and Leadership Teams. Mr. Bobby became an Assistant Instructor, and after years of hard work and dedication, he earned his 1st Degree Black Belt in the Spring of 2001 and then became a Full-Time Instructor. He has over 15 years of experience teaching and working with children and currently leads the Demonstration Team in various performances to include pre-game and half time shows at San Antonio Spurs Games, San Antonio Silver Spurs Games, parades, festivals and area schools. Mr. Bobby’s additional accomplishments include a 2nd Degree Black Belt in Taekwondo (2004) and 3rd Degree Black Belt in Taekwondo (2010). Q: What benefits can I expect to get from taking Martial Arts classes? Q: At what age do you begin accepting children into your program? Our Little Dragons program starts teaching the basics of Martial Arts to children as young as age 4. 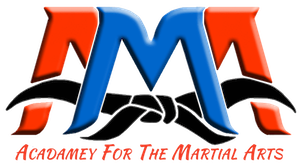 Q: How can I spot a quality Martial Arts School? There are several different elements that make up a school: the curriculum, the instructors, the office staff, and the facility. The curriculum should be focused on life principles: discipline, respect, and goal setting and should not focus on rapid promotion. It should also be geared towards different levels of experience as well as age. Be wary of schools that tout the quality of their instructors based solely on rank. Being a good Martial Artist does not automatically make someone a good teacher. Instructors should have experience working with children as well as adults and have a student-based mindset. They should be adaptable to different learning styles and be able to articulate their goals for you or your child clearly. The office staff and the facility should be up to professional business standards. Q: I would like to get started. What should I do? Our Trial Program includes 3 classes plus a uniform for $19.95. When you are ready to get started, please contact our office and we will get your first class scheduled. Some Martial Arts Schools have a set time line in which they “guarantee” a child or adult will receive their Black Belt. At AMA we take into account skill level, natural abilities and motivation before setting a date for earning a Black Belt. Because of this, we cannot promise exactly when you will earn your Black Belt. We can however, promise that when you do receive your Black Belt you will be absolutely certain that you earned it. The “average” time to get a Black Belt as set by our curriculum is three years. All of our children’s programs are designed to reinforce the core values of Martial Arts: Discipline, Integrity, Personal Responsibility, and Respect. We teach children when and how to use Martial Arts appropriately and what it means to be a Martial Artist. Our staff also provides enough positive recognition and opportunities to shine that students do not feel the need to show off their skills in undesirable ways, whether at home or at school. Q: What Martial Arts style is best? There is no one correct answer to this question. Each style has different strengths and weaknesses and can offer you or your child something different in the way of education and training. For practical self-defense purposes and life application, we have found that a blended style is best suited to everyone’s needs. Q: Do I need to be in good physical shape to start Martial Arts classes? No. We start students of all levels and all ages. Our curriculum is designed to get you in shape both physically and mentally. Q: What age is too old to begin Martial Arts? It is never too late to start Martial Arts! Students are encouraged to go at their own pace and our instructors are great with working with students of all ages! Q: Will I be required to participate in tournaments? At AMA, we view tournaments as an extra-curricular activity. For kids at the purple belt level and higher we offer a Tournament Team that focuses on Olympic Taekwondo as an extra outlet in addition to regular Martial Arts classes. We do not currently offer training for adults wishing to compete. Q: Do you spar in class? Yes. Sparring is included in class for children at the purple belt level and higher, and for all adults. Sparring is a great way to practice applying the skills you have learned in a safe and controlled environment. Q: Are there fees associated with testing for rank? No. We do not charge testing fees for each test a student must take in order to be promoted. We do charge graduation fees for promotion to the next rank. (Usually once every three months). Q: Do you use weapons in your training? We do not offer weapons training as a regular element in our kid’s curriculum. We do offer extra weapons workshops that are age appropriate so that students may have the opportunity to learn more about weapons. Our adults learn weapons as a part of their curriculum. Q: Will my child stick with it? Commitment is something that is greatly emphasized in our program. We teach children how to set goals and provide the support and encouragement to stick to them even when things get tough. This is a great life lesson that our students learn and that will help them for the rest of their lives. Q: If you have experience in Martial Arts, can you keep your rank? At AMA, we do our very best to allow students to keep the rank that they have earned, whether from our school or another. Transfer students will be given as much extra help and training in our curriculum as necessary to allow them to keep as high a rank as we are able to allow.